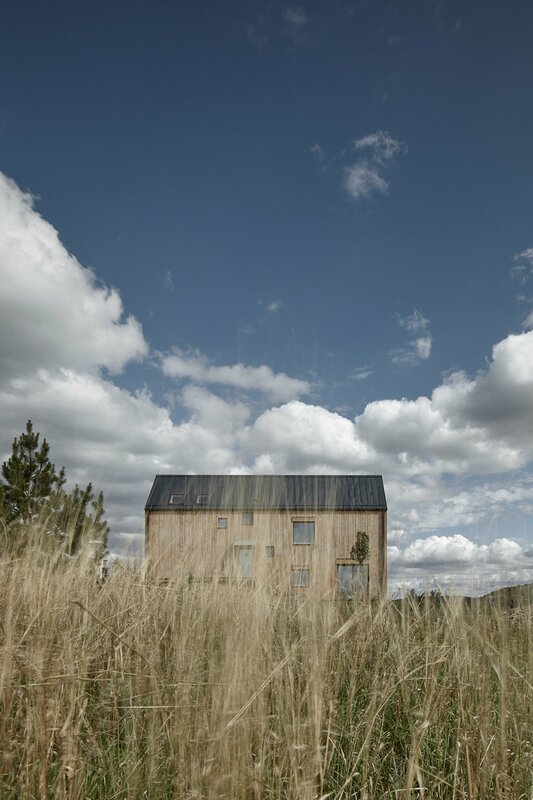 Located in Točník, Czech Republic, the Markétka House was designed by the Mjölk Architects studio to integrate into the rural setting. 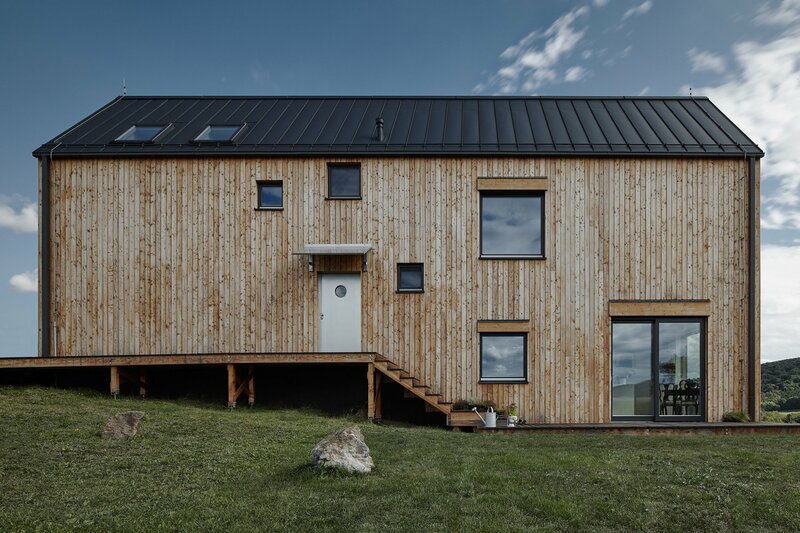 The appearance is inspired by rustic barns and vernacular architecture, featuring a Siberian larch frame in a warm brown tone and a contrasting black pitched roof. 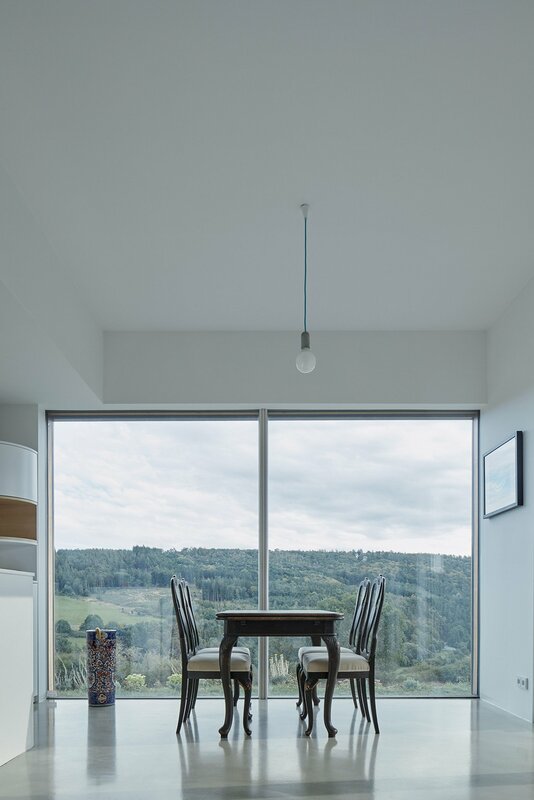 Windows in various sizes are placed at different points in order to enhance the views and the natural light, adding a distinct modern vibe to the exterior of the building. 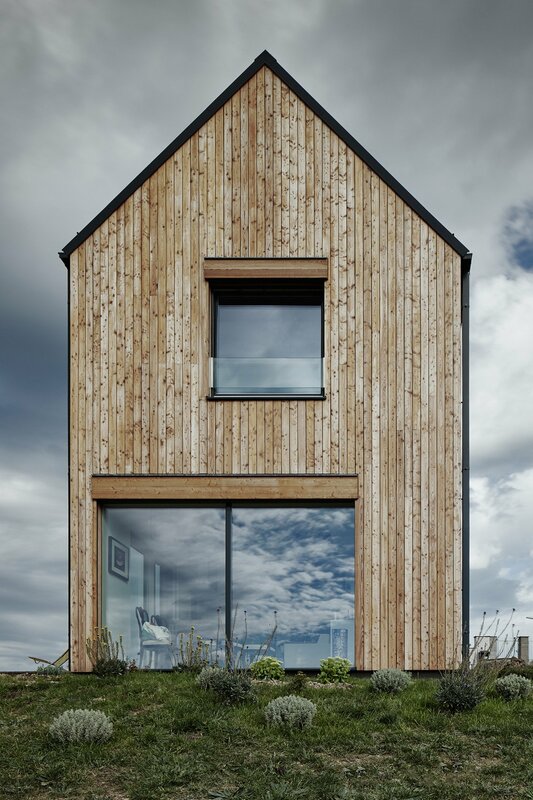 The architects define their style as a blend of “conceptual simplicity, truthfulness and youthful playfulness,” and this is illustrated in the home’s design. 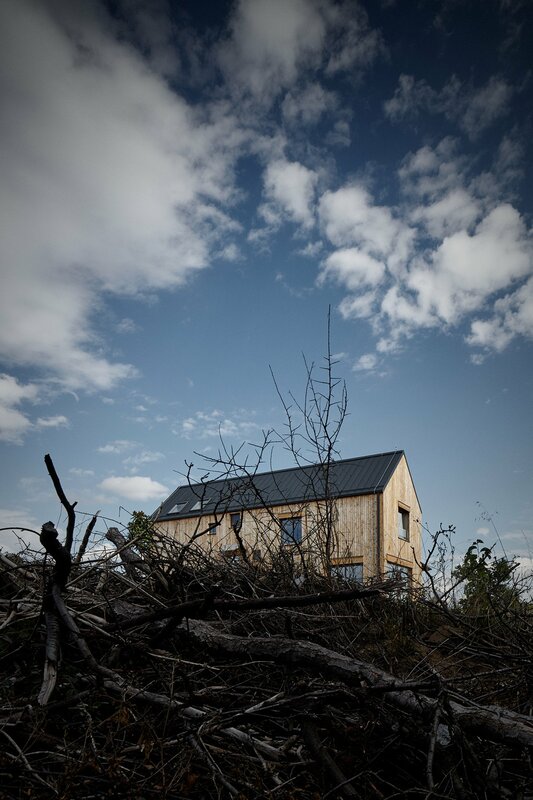 The team took advantage of the slightly angled terrain in an ingenious way, placing the ground floor rooms at the lower end of the slope. 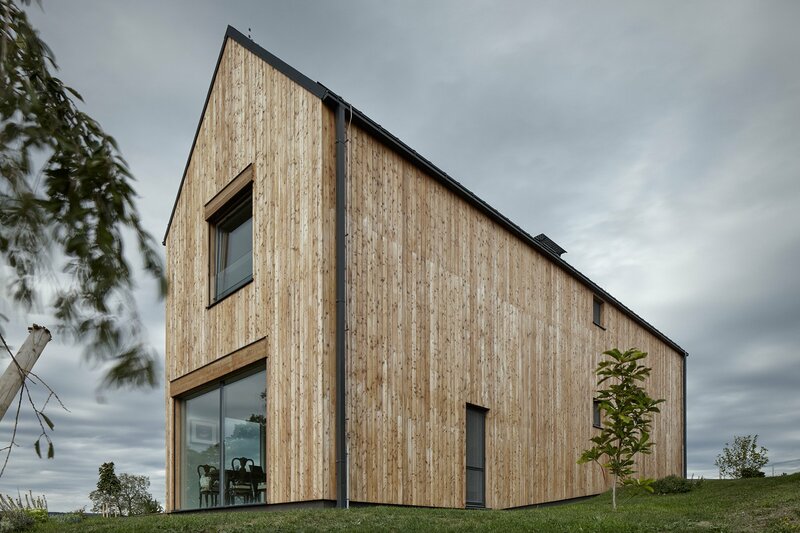 Stepping inside the Markétka House, you are welcomed by the monumental sight of a nine meter high space and an open plan area that includes the living room, kitchen, and dining room area. The latter offers the focal point of the entire home large glass windows providing a superb view across rolling hills and pine forests. 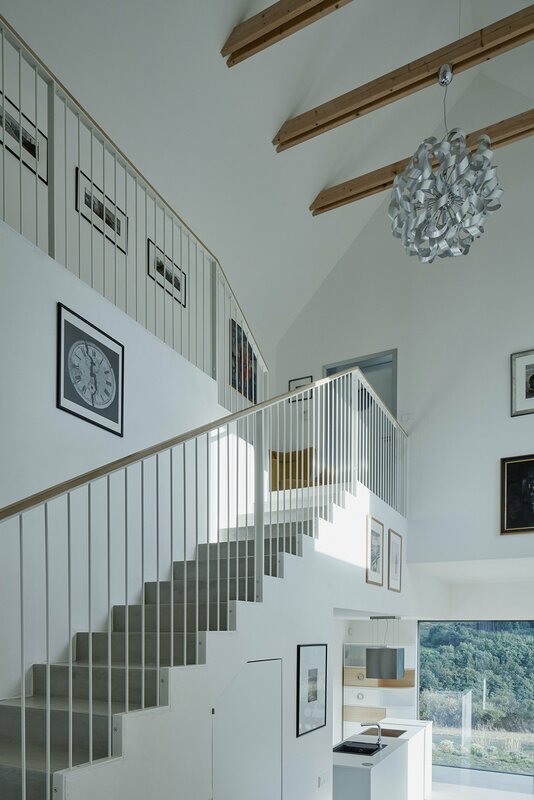 A large staircase with thin balusters links the ground floor to the upper level where two bedrooms and a bathroom complete the living spaces. 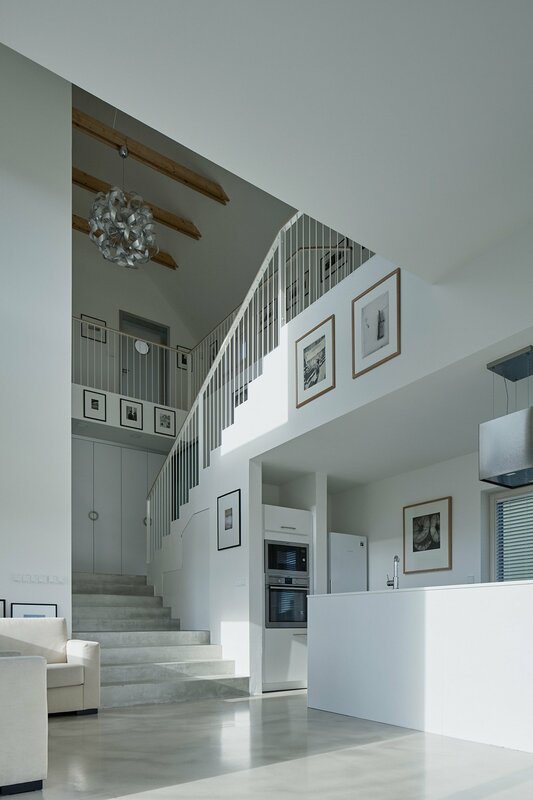 The materials and the color palette are minimal; bright white walls, gray concrete stairs, light brown wooden accents in the kitchen, staircase handrail, and in the beams across the ceiling. The furniture is eclectic and sparse, with modern and classic pieces paired tastefully. 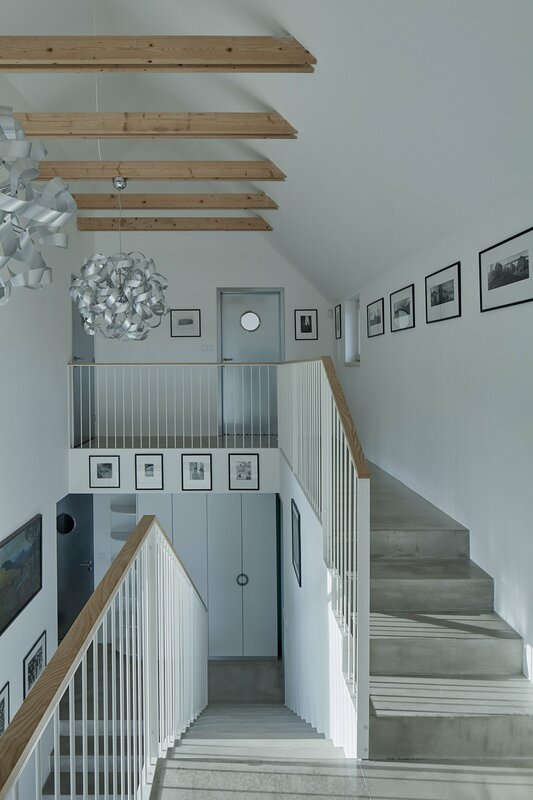 Designed to provide the owners a generous amount of space, the interior is airy and bathed in natural light, but as it is complemented by a large art collection decorating the pristine walls, it also infuses the home with a charming art gallery atmosphere. Photography by BoysPlayNice.